I have added a new page to my blog. I am scheduled to do my first public psychic event this month. I have struggled with coming out to the general public about my abilities. People put you in some pretty awful categories when they know that you have abilities. To help my local folks figure out what services I provide, I added the page to my blog. To give my blog audience an idea of what I do, I’m a medium and I can do past-life readings. I don’t do future readings. I don’t work with tarot or palm reading. My connection is with the past. It’s true I do have some glimpses of the future, and when that happens I can relay that information to the client. The thing people forget is that the future is always in motion. It changes with every decision that’s made, with every moment, of every second, of every day. The future will also be that way. I’m not a fortune-teller. I can help you find direction with what you already know to be true in your heart. So, if you aren’t afraid of such things, and are even interested, please feel free to contact me with questions. I am setting up sessions for the new year. Welcome to the concluding post for this series. I certainly hope you have enjoyed learning about the various animals that have come to my mind. I believe this series was inspired by something greater than me, so someone out there needed to understand the phenomenon of spirit animals. 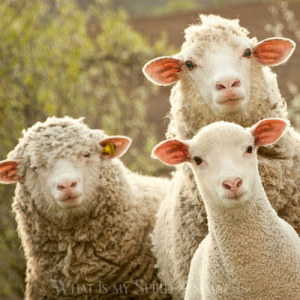 Since I published this blog, I’ve done some psychic readings and the animals have popped through. I have been able to reference my blog to help them understand the creatures that have come to them. Today I am going to focus on the kangaroo. After all, we are bouncing into the new year as of tomorrow. So, what better way to end the series than on a bouncy note? The appearance of the kangaroo reminds you that the only direction you can go is forward. You’ve had all year to gather momentum, and now it’s time to keep moving forward. Don’t look back. The past is only a chain around you ankle in the ocean of life. All you need to understand is that forward-motion is adequate. You don’t have to work at clearing a path. Your spirit guides have already done that in preparation for the kangaroo to arrive. The fact that the kangaroo is a Marsupial can also mean that you are in a nine month cycle (Spirit Animal Totem). Take a look at the things that have happened in the last nine months. There is a pattern that should be visible to you. If you have been working on a project, it likely began nine months ago. If you are beginning a new project, it will probably come to fruition in about nine months as long as you are committed to finishing it. This also means that you need to leave a bad situation behind. The kangaroo encourages you to bounce forward. All you need to do is allow your instincts to take over. When you settle and quiet your mind, the answer will be clear. Overall, the answer means you need to drop the situation and bounce on. How do you do this? Read on. The kangaroo offers strength and stamina as long as you go forward and do not cling to the past. You already have the ability to balance your creative energy or your intuition to take that leap forward. You are already a very focused individual. In fact, you usually have to shield from other energies. You have to keep that energy field clear of external influences. Without that ability to will cling to what doesn’t belong to you. Furthermore, if you do not center yourself and listen, you will not be able to ground. Without the power of grounding, you are in flight. With the situation you are in, you don’t want to be flying around. You need to hop out of whatever it is that is holding you captive. You already know the direction you need to go in. Simply look at your kangaroo, and she’ll show you how to hop through the difficulty. She will also say, “Don’t look back. Focus on all that lies ahead!” That should be really exciting! Further to that point, Love explains that the kangaroo represents a quantum leap that you need to take. When I think of the kangaroo, I think of Kanga from Winnie the Pooh. She was loving and nurturing. On top of that, she was a beautiful symbol of “uncharted territories” (Love). The arrival of a kangaroo inspires you to do more. It helps you reach personal goals. It allows you to pull pleasure into your life. So, when you see the leaping and hopping going on, that means that your physical desires are something you should be looking at. Physically, the kangaroo has a very long tail. How is it used? To balance. Are you balancing? If not, meditate with your kangaroo. The animal will probably teach you to balance stress, choices, life, health, and a host of other situations. Kangaroos also fight. They “box.” It’s rather disturbing to watch, but wow can these animals compete! Whether you know it or not, you have a competitive streak. You may not want to recognize it, but you have it. The kangaroo may have hopped to you so that you embrace that part of yourself. Additionally, the kangaroo could be a part of your life now to teach you how to express your competitive power. The take-away message surrounding this special animal is moving ahead. That sounds easy. It isn’t. Our nature is to hold onto things we should let go of. Don’t deny it. There is something you are holding on to. Only you know what that is. If you feel the presence of a kangaroo, you are being directed to move away from what is holding you back. As I close this series, I want to let you know that I am working on The Thin Dark Veil again. This series will be included in that book. I wanted to publish the book over a year ago, but something didn’t feel right. It was because there was much more coming that required inclusion in the book. So, my goal is to put it out by Valentine’s Day. I hope you have enjoyed getting to know the psychic part of me and that you have connected with the animal especially made just for you! Have a wonderful New Year’s Eve. Stay safe! Love and light to you always! In college, I was the member of a sorority. The mascot for the organization was a swan. We’ve worked through just about all of the mascots from my education (Tiger: high school; Bear: undergrad; Buffalo: grad school), so I knew I had to include this legendary creature in this blog series. 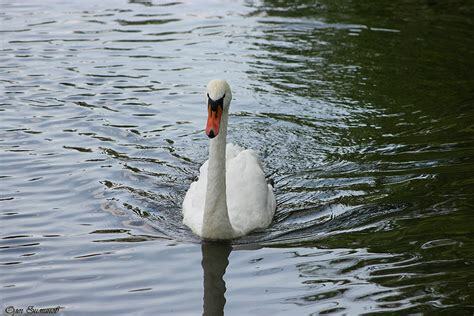 If the swan comes to you, she is there to help you discover new ways of thinking. She is helping you to go with the flow. This goes back to feminine energy as well as intuition. The swan reminds you of your personal beauty, too. Swan people are able to see the future. They welcome healing and transformation. They are monogamous and mate for life. The swan folks usually find true love at a very young age. They stay together for years. They can balance everything; work, family, play, and even personal space. They know when it’s time to steal away and recharge. They also have the ability to be individuals. They don’t necessarily bend to the group. The swan is steeped in lore and fairy tales. It is one of the most powerful and one of the oldest animal totems. I think of the Ugly Duckling when I think of the swan. The story says that as we grow we become more and more beautiful. the other thing that comes to mind is a swan song. In some cultures it was believed that the swan’s song signaled death (transformation). The swan may arrive to tell you to be mindful of some of your negative feelings; jealousy, insecurity, self-doubt. Avoid arguments. The arrival may also mean that you may be or will be mourning a loved one. As you head into the new year, you may consider that the swan is telling you that it’s your time. You’ve been growing. Use your intuition. Get away from argumentative people. Examine your emotions. These are all calls to help you meet your maximum potential. The arrival of the cardinal signals that you might need to be clearer regarding your intentions. As the new year comes crashing in, the cardinal tells you to start setting clear, meaningful goals for yourself. By doing this, you can accomplish just about everything you set your mind to. It’s time to spend less time thinking about the small stuff (the things that don’t really make a difference either way). The cardinal also reminds you to think carefully. Your thoughts propel through the universe, causing problems or positives. In other words, if you are thinking positive things, you will pull positive toward you (the law of attraction once again). In turn, if you are thinking horrible thoughts, you will create negative things in your life. The cardinal reminds you that those thoughts can manifest. The cardinal also wants you to understand that you come first, but not in a selfish way. You should take care of yourself. You should watch your health. You should do this before looking after others. If you have new projects, the time to begin is when the cardinal arrives. 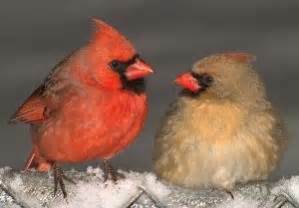 Cardinal people often make great intuitive listeners. They can interpret their inner voice. They are usually in touch with the femininity that you they possess. Are you sensitive? You may want to look around you. A cardinal could be afoot. A cardinal person will likely be the pioneer of great ideas. They make things happen. You can also promote yourself well and enjoy leadership roles. However, the cardinal totem gives you the ability to end senseless projects. You know where to begin, and you know when to stop. The cardinal also brings a sacred song to you. Listen well. You can gain direction from their beautiful singing. The song will help you truly fall in love with your life. This is difficult at times. We face so many challenges, losses, and changes, that embracing our lives can be very heard, especially during the times we travel through the valley. The cardinal may arrive to sit on your shoulder and show you the positives that surround you. They can help you see the things that are wonderful, despite the darkness. The cardinal brings the gift of seeing. When I meet folks who are “seers,” I explain that they have the ability to see everything. They don’t just see the future, the past, the dead, or other spiritual things. They can see the big picture. Believe it or not, the cardinal has a symbolism attached to Winter. Therefore, I guess this post is very appropriate. Winter is the natural time of hibernation. We move a little slower. In Paganism and Wicca, winter is the time to for the spirit and the soul to retreat after the gathering of the harvest. It’s a time to reflect. Even with the holidays, the winter months welcome the time of sacred rest. It’s time to take things slow. I am not a fan of winter, but understanding that it is needed so the spirit can recharge helps me cope with the cold months of the year. The cardinal acts as a mascot of the holiday season as well as the winter months. The bird tells us to slow down. They help us focus on developing spiritually. Even though we are resting, we can still move forward in our spiritual journey. The cardinal embraces kin, but also balancing those responsibilities. It seems that family can tear you apart at this time of year. You are all coming together to try to enjoy the time of year, but in the process, if you are a sensitive, you are exposed to all of that energy. Shielding yourself is very important, but for those who don’t know how, it can be overwhelming. The cardinal reminds you to take it easy, and again, put yourself first. If you feel like you can’t handle something, push away from it. If you need to be alone, be alone. Balance is the key with these animals. Use their abilities to find the balance in your life. I have never seen a whale in the wild, although I would love to. I have watched nature shows about them. I think they are beautiful, gentle animals. They were nearly obliterated off the planet because of their physical properties. Why we think we have the right to destroy just because we “need” something, I will never understand. However, thanks to activists and wildlife groups, they have been able to come back from the brink. Let’s dive into the realities of the whale in the wild first (no pun intended). According to Couch (2015), it is important to note that there are two suborders of whales. There are toothed whales and baleen whales (Couch, 2015). There are 26 types of toothed whales, which includes the killer whale (Couch, 2015). Baleen whales include the humpback and gray whale (Couch, 2015). So, the first thing you have to do is figure out whether you have a baleen whale or a toothed whale. All of the whales have similar symbolism in the realm of the spirit, but there are subtle differences that have to be understood in order to bond with you particular whale. Also according to Couch (2015), the “paleontological records and molecular data indicate that all whales lived on land and migrated into the sea over 50 million years ago.” The whale is a mammal like us, which means it breathes air and has hair on its body. It gives live birth to young as well. Couch (2015) states that the “whale evolved spindle cells in her brain as long as 15 million years before us. These cells relate to self-awareness, compassion, and linguistic expression. As a warm-blooded animal living in cold oceans, whale relies on a thick layer of blubber as insulation. Legends say that whale spirit animal carries the history of the world, remembering back to the time when she was on land.” Fascinating stuff, huh? According to various sources, the whale is has a sensitivity to electromagnetic fields, especially the one produced by the earth. The field acts as a map for migration. This means that the whale can help you navigate through the perils of life. You can find your way back to balance. You can use the whale as a compass for the soul. In fact, you may not be able to explain how you know you are being pulled toward a certain destiny, but it could be possible that there is a whale guiding you. Those of us who truly believe in the law of attraction never have to think about where to go. They know they are supposed to head in that direction. The whale helps us stay in the flow of things. She gets there when she needs to and it happens in perfect time. This also speaks to the whale in the wild. The animal can follow the coastlines, but sometimes the field runs right up onto the land, which is why you will see beached whales at those points (Couch, 2015). Thus, if you feel like you have followed the map and now you’re on land, stuck with no way to get back out to sea, wait. The tide is coming. On the other hand, it may be time to let go of what drew you to the shore. Either way you are in the capable hands of destiny. Remember, before you can reincarnate/resurrect, you have to die. I’m not saying you will die physically, but there may be parts of yourself you must die to. You must let the past die at times. you must let your selfish desires die at times. These are all signs that a whale has entered the picture. The whale is as old as time itself. Therefore, the whale spirit is the record keeper of the earth. The whale teaches their charge about listening to the intuitive voice that speaks from deep within. It will teach you how to understand your emotions and how those emotions impact your daily life. They also encourage you to follow your own truth. When the whale swims to you it may be time for you to look at who you really are. Look at the actions you take and the emotions that drive those actions. Look at what has brought you to this point in your existence. How can you seek peace? The whale tells you to maintain a connection with the true reality that surrounds your life. The whale people are nurturing and they go after what they want. However, they know that there is so much more to life than what is seen. That is why they provide mystic vision passed our current existence and into the realm of the spirit. Whales can communicate and coordinate with other whales over thousands of miles of ocean (Harris). Therefore, the whale wants us to communicate through truth. Speak from the heart to bridge the distances. Because this animal is very family oriented, much like the dolphin and many other mammals, the whale can help the human connect with loved ones on a deeper level. Get rid of the superficial talk and start meaning what you say! In writing this post, I realize that I have a whale in my life. It explains the pull I have always had toward certain things. It explains my belief in the law of attraction. It explains why there are things that I just can’t shake. I have a sperm whale. A female named Raples. She appeared to me clearly today. So, I welcome her into my pantheon and now I will begin communicating with her. I will meditate with her and learn more about her. She is here to teach me. She has been with me all along, but she wasn’t permitted to come through until today (December 23rd). It’s time for me to start collecting totems of the whale so she can be tangibly represented among my spirit animals. The other animal that popped through today is the ram. I previously posted that I knew the ram spirit was a part of me due to my Zodiac sign, but today I realized I actually have a ram spirit animal. His name is Tye. I will need to refresh myself with the post about the ram. And I will have to begin speaking to him regularly to learn what he has to teach. I’m so glad you were able to be a witness to these discoveries. They can happen to you, too. All it takes is a little focus. Sometimes they won’t appear immediately in your life, but gradually as your start piecing things together. How is it possible to have a dire wolf, a dragon, a raven, a whale (sea animal), and a ram? Because with the Spirit ALL things are truly possible. Take comfort in that! That means there is a higher power guiding you through your journey! You are special! You matter! You are divinely created for the benefit of the universe and everyone in it! I have had the privilege of swimming with dolphins. I saw them in action when I visited South Carolina. We were on a ferry from Fort Sumter. A pod of dolphins swam beside the ferry the entire way back to the terminal. It was quite beautiful. Although I live in the Midwest, that doesn’t mean that I can’t have a dolphin as a spirit animal. I met someone recently that has a dolphin spirit animal. She lives about 20 minutes from me. When I did a reading for her, I explained that just because you don’t live near the animal doesn’t mean they are unable to connect with you. You can summon the animal and they can summon you. When the dolphin swims into your spirit world it represents balance and harmony. The dolphin is a highly intelligent, highly social animal. They have excellent instincts. Many people see dolphins as protective totem animals. They are also playful, reinforcing to their human that life must be approached with positivity and humor. People who lean toward the dolphin are typically very gentle and have a solid foundation of inner strength. 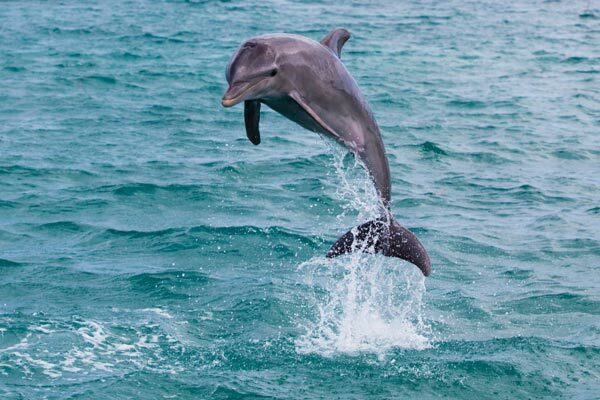 Throughout history the dolphin has been associated with various myths. They were said to have saved drowning sailors and even guided vessels on the sea. Symbolically, the dolphin is associated with resurrection. For instance, the Greeks thought that they dolphins were responsible for carrying the souls of the dead to the afterlife. Christians depict them as carrying the soul of Jesus. The dolphin can see and hear very well. This allows it to move through the black water effortlessly. They aren’t afraid of the darkness, but rather, they maneuver through it sharply. They communicate with their family members by using clicks and squeals. They also use sounds to detect objects in the abyss. Couch (2016) described this process as echolocation. Because of this skill they can accurately assess distance from an object and the size of it. Many scientific studies have been conducted to test the intelligence level of the dolphin. Most scientists believe that dolphins are very aware of their surroundings and even exhibit empathy. The dolphin is capable of teaching, learning, and cooperation. Their brains are specially designed for socialization, emotional capacities, judgement, and other cognitive processes you may not thing they could accomplish. In fact, many are finding that the dolphin brain isn’t that different from ours. They know their names and possess a sense of self. People who find themselves enamored by the dolphin are likely being called to the animal. The dolphin reminds us to find humor in everything. They tell us that it’s okay to play for the fun of it. Furthermore, they dolphin symbolizes rebirth, so you may be heading toward some metamorphosis. The dolphin is brave, strong, and confident. When a shark or orca comes at them, the dolphin will not hesitate to fight back. They won’t run. So, in the spirit world they teach us the importance of morals, ethics, self-assurance, and truth (speak you mind!). They also implore you to stand your ground and do not back down. As I mentioned, dolphins are very social and live in large cooperative groups. They work together to protect one another and even feed and care for injured or sick family members. The entire pod support a mother giving birth. They will protect the calves from threats. They are selfless. So, if a dolphin is attached to you the ability to love unconditionally and sacrifice will probably be built into your DNA somewhere. Dolphin people can balance many situations, but it is difficult at times. They are really good at walking the line of chaos and peace. You may complete tasks and be happy while doing so. You are probably very protective of others. You may also be a person who offers guidance to others. You are generous. A lot of people love dolphins. They feel very bonded with them, but don’t know why. It is very possible that there is a reason for that bond. You might have dolphin jewelry. You might have paintings or knickknacks. Even if you live inland, it doesn’t mean you cannot connect with a dolphin spirit animal. All it takes is a little work and some concentration.